Too hot in the summer? Freezing in the winter? Broken Pipes? Leaky Faucet? 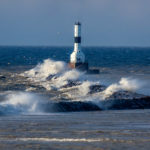 Conneaut, Ohio is home to several heating and cooling professionals, HVAC experts and licensed plumbers. We invite you to review the list of local professionals listed below serving Conneaut, Ohio for all of your heating and cooling needs. Did you know that a radiant floor heating system can make your tile, wood, or concrete floors up to 20% more energy efficient ?